Last week in our monthly Bible reading challenge Facebook community group, I shared 4 simple steps to quiet time alone with God. While there is no right or wrong way to spend time with the Lord daily, as humans, having a plan for quiet time with God helps us focus. Using a plan enables us to hold ourselves accountable to the decision of growing our relationship. If I want to grow my relationship with my children or husband, then I have to purposefully choose to spend time with them. We set a date night. We eat meals together. We choose to be together. That’s how relationships grow! Want to grow your relationship with the Lord? Enjoy this 4 simple steps to quiet time alone with God. Prayer is simply having a conversation with God. You can take as much time as you’d like, but I like to begin my quiet time in prayer with just a few sentences. The Lord knows that I’m not a morning person. I try to be, but the truth is, I don’t fully wake up until I’ve been awake at least an hour. Since my family’s schedule begins early, I prefer to keep my morning prayer a little on the shorter side. Doesn’t matter what you say or how you say it, making yourself available to God and telling him you’ve shown up to read his Word is important. Asking the Holy Spirit to help you understand what you are reading is a great way to show your availability to the Lord. Reading the Bible can seem like an audacious task if you have no plan. 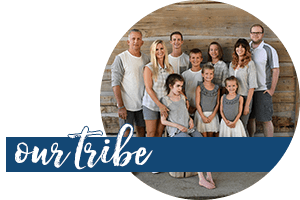 Whether you choose to read through a book in the Bible at a time, read the Bible in chronological order, or follow a Bible reading plan like the monthly Bible reading challenged hosted in our community, having a plan keeps you from guessing what to read each day. Choosing a Bible reading plan will keep you committed and provide a means of tracking your progress. I like to read shorter passages at a time for a daily Bible reading plan, typically 5-8 verses. I also read through the passage once and then slowly read it through a second time, soaking it in. Which verse stands out the most to me in today’s passage? Is there a key word that the Holy Spirit is drawing me to? What is the one point from the passage that I can think about throughout the day today? When you take a few moments to write during quiet time alone with God each day, you are going to reap benefits beyond that day of reading. If you choose to write out a prayer, then you’re creating a written record of prayers that will allow you to review the history and be blessed by the answers to those prayers. If you choose to write a short summary of what you learned through reading the Scripture verses, then you’ll have a beautiful log of thoughts from God. 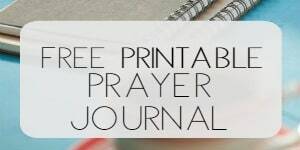 Imagine how encouraging this journal will be to you or your family in the future! 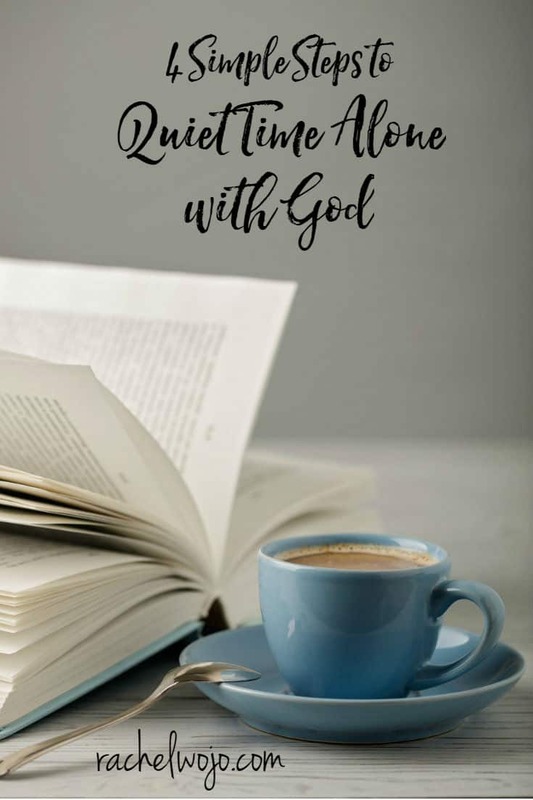 The above simple steps to quiet time alone with God are not meant to be a one and only way to spend time with the Lord. Growing our faith isn’t a check-off on the to-do list, but a lifelong lesson of learning to know God more and allowing Him to transform our lives daily. These four steps are a wonderful way to start spending time with God each day. I’d love to hear from you! What’s your favorite tip from this article OR what is your own personal favorite tip for enjoying quite time alone with God each day? 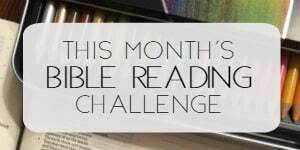 If you’d love to start a daily Bible reading plan, join our community in this month’s challenge! Order your journal and enjoy the ability to work through all the above steps in one convenient place.